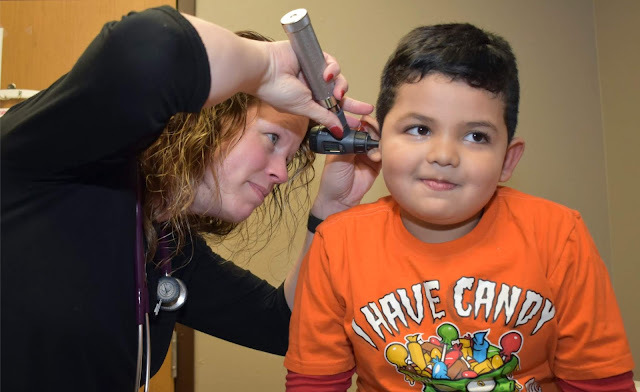 SIOUX CENTER – Emily Tuschen is taking a step up in leadership at Promise Community Health Center in Sioux Center. Tuschen has been promoted to Chief Operating Officer from her role as the Clinic Manager. The COO position is a revamping of Promise’s previous Director of operations position, which has been vacant for several months. 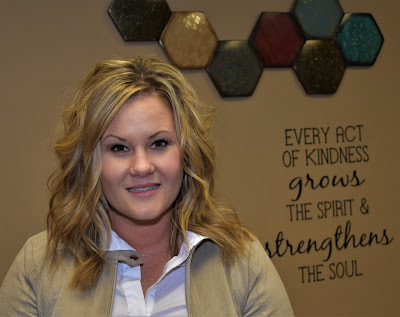 She said working as the clinic manager at Promise for the past year and a half has been big blessing to her, but she is excited about the challenges of her new role. continue to adapt its services into the future. Tuschen, 32, has steadily moved up in her levels of responsibility at Promise since starting as a clinic nurse in January 2016. She assumed the clinic manager role in August 2016, supervising the medical providers and staff and managing their schedules. As the chief operating officer, Tuschen will oversee the continued development of clinical services at Promise, including medical, prenatal, dental, vision/eye, behavioral health, family planning and victim advocacy. Her new role will allow her more time to build relationships with employees of other departments and to concentrate on and broaden her knowledge of those areas. Nathan Vander Plaats, who assumed his role as Promise’s executive director in December, said organizations work best when decisions are made as close to the information as possible. The implementation of the COO position has brought about a reorganized structure that will better allow for employees to make operational decisions. Vander Plaats said Tuschen has stood out as a person who was “ripe for more responsibility.” She already had taken on duties and responsibilities that have gone beyond her job description. As a registered nurse, she has the technical knowledge to oversee Promise’s daily operations, but she also demonstrates strong leadership ability. Emily Tuschen grew up in Platte, SD, and graduated from Dakota Christian High School in New Holland, SD, in 2004. She earned an associate’s degree in nursing at St. Luke’s College in Sioux City in 2008 and a bachelor’s of science degree in nursing at Dordt College in Sioux Center in 2009. She worked at Sioux Center Health, 2007-16, and Orange City Area Health System, 2009-10, in a variety of departments, including emergency, labor and delivery, postpartum and medical floor. She started at Promise Community Health Center in January 2016 as a clinic nurse and assumed the clinic manager role in August 2016. She and her husband, Aaron, live in Sioux Center and have three children, Kenley, 7; Brody, 6; and Evia, 2. With the promotion of Emily Tuschen to chief operating officer, Promise Community Health Center now seeks candidates for its clinic manager role. To learn more about the position and to apply, visit www.promisechc.org/careers/.